Could there be a sequel to Injustice coming? Not long ago, we interviewed the team behind NeverRealm Studios' Mortal Kombat X about the update that recently made the rounds. Today, some intriguing posters for what looks like what could possible be an official sequel to the classic fighter made the round, thanks to a leak via Polygon from GameStop. 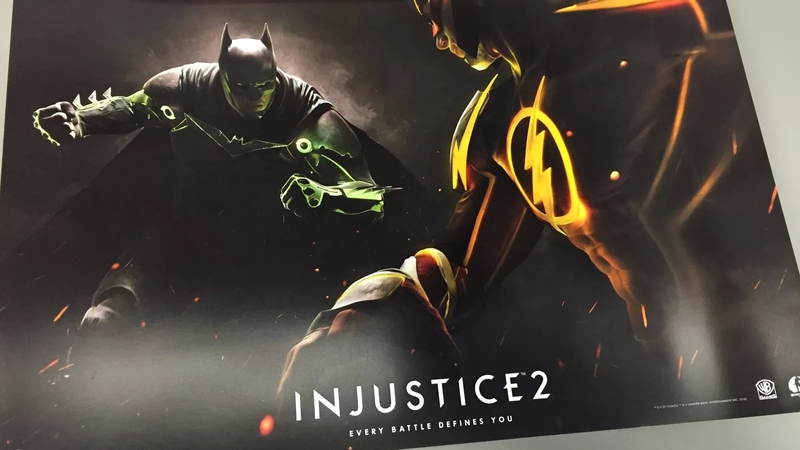 The photos show posters with artwork that details Injustice 2, and some heroes duking it out. There's no street date on the posters themselves, so the general consensus is that the game may well be hurtling toward an announcement during E3 next week. Batman and The Flash look menacingly on with the tagline "Every battle defines you." Of course, this could mean some very big things for mobile users -- if there's another Injustice coming, that should also mean a mobile adaptation. And in this day and age, that's almost certainly guaranteed. The first Injustice game remains free on the App Store, but would an Injustice 2 take the place of the original with a similar free-to-play model? Only time will tell, but it sure does look like that's what we're headed toward. We'll be back with a confirmation next week if that's indeed what's about to be revealed. Looks like NetherRealm is hard at work with new titles, nevertheless!